Launching a title loans business is an excellent entrepreneurial opportunity but it's important to plan out the business in detail before you start. This article contains a few secrets that can make your business profitable, stable and built to last. Thinking about opening a title loans business? We tell you what you need to know to get started. Title loan businesses are attractive startups for entrepreneurs seeking solid returns on their investments. 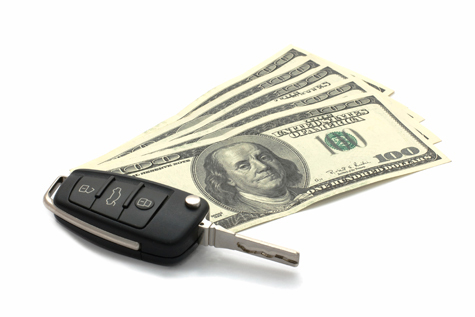 When individuals need short-term cash, they use the title of their vehicles as collateral on loans. If the loan is repaid according to the terms of the contract, then everyone goes their merry way. If not, the lender (i.e. you) can take ownership of the vehicle and sell it to cover the principal and interest charges. Since title loan companies charge high interest rates and target individuals who lack access to other forms of credit, the industry has come under government scrutiny for predatory lending practices. Startup business owners need to be aware of the controversies and be prepared to fully comply with legal/ethical business practices. Title loans are intended to be short-term, high-interest forms of financing. The average loan term is only a month, but the annual interest rate can be as much as 20% or more. Compared to a typical startup, a title loan business presents a high ROI, even during the initial stage of the company's life. Although loan terms are restricted by state laws, some title loan business skirt the edges of legality by rolling thirty-day loans over and over again, continuing to collect interest on a principal portion that is not repaid during the standard time period. Before engaging in any atypical lending procedures, it's important to verify state law and gauge your motives according to personal and industry ethical standards. Many states require title loan businesses to be licensed or certified. However, regulations regarding title loan companies are constantly changing, so you'll also need to stay on top of legal developments to maintain compliance and licensing -- not to mention the state requirements for titles, transfers and other vehicle-related transactions. By now, you're probably tired of hearing how important a good business plan is to your title loans business startup. Although it might seem like an unnecessary formality, your title loans company's business plan is a document that will shape your goals and strategies on a go-forward basis. Prior to opening a title loans business within your community, it's a good idea to determine what the competition looks like. We've provided the link below to help you generate a list of competitors near you. After following the link, enter your city, state and zip code to get a list of title loans businesses in your area. If you want to open a title loans business the next step is to learn from folks who are already in business. Local competitors are not going to give you the time of day, mind you. It'd be crazy for them to teach you the business. Thankfully, an owner of a a title loans business in a location that is not competitive to you can be a great learning resource for you, after they realize you reside far away from them and won't be stealing their local customers. In that case, the business owner may be more than happy to discuss the industry with you. In my experience, you may have to call ten business owners in order to find one who is willing to share his wisdom with you. Where do you find a title loans business entrepreneur in another city who you can speak with? Unfortunately, many inexperienced title loans business entrepreneurs approach ownership with the mistaken idea that a startup is their only option when they could also pursue a business acquisition. Unless you have compelling reasons to launch a new business, buying an existing title loans business may be the better choice. An acquired title loans business is a known quantity; a startup is less certain because its forecasts depend on estimated outcomes. If you're diligent about finding the right acquisition prospect, you may be able to leverage a business buying strategy to rapidly propel yourself into a position of industry leadership. Recognize that your chances of becoming a successful entrepreneur increase if you purchase a franchise instead of doing it all on your own. Before you consider starting a title loans business, it's worthwhile to determine whether franchise opportunities in your space might make it easy to get started. Have something to say about opening a title loans business? Your feedback is always appreciated. Already Own a Title Loans Business? Do You Sell to Title Loans Businesses?